Hawaiians have access to some of the world’s finest beaches and most beautiful scenery. Still, many residents of the islands choose to bring paradise closer to home by installing swimming pools in their backyards. With so much natural splendor all around, this might seem like overkill to some. But given the cozy tropical climate, the idea of owning your own pool – whether it’s above ground, semi-inground or inground – makes too much sense for many Hawaiians to ignore. Swimming is a year-round activity in Hawaii, with daytime temperatures typically reaching the low 80s in winter and the high 80s in summer. That doesn’t mean that the water will always be comfortable for everyone, however. In particular, those who live on the windward side of the islands (which receive increased cloud cover in addition to higher winds) may want to forgo swimming at certain times of year. Another option is to install a pool heater (either conventional or solar-powered). Here’s a fact that will surprise no one. Many inground pool owners in Hawaii choose freeform designs that mimic the natural beauty of the islands. Add in some creative landscaping and tropical plants, and you have a mini resort right in your backyard. Though it’s far from cheap, another essential component of this type of pool is a waterfall. If you have a budget that will accommodate it, a waterfall adds a dynamic element while blending seamlessly with the naturalistic look of a freeform pool. It’s also a nice thing to have if you like being surrounded by the sound of water (as many Hawaiians do). It’s no secret that materials and labor are expensive in Hawaii, so you can expect to pay more than the national average for pool installation. Above ground pools are popular alternatives to more expensive permanent pools. You may also be able to save money by doing some of the labor yourself, serving as your own general contractor, or simply shopping around for a lower-priced pool builder. However, most people will do well to simply hire the best pool company they can afford. It generally makes life a lot easier. One thing the pros are really good at is navigating the confusing realm of building permits. Requirements vary by county, but you generally have to submit an application with a building plan showing your new pool is in compliance with all local codes. Honolulu has an online system that somewhat simplifies the process, but even then, it’s helpful to have an experienced professional handling this work. 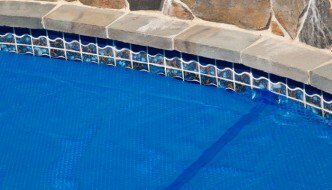 Residential pool safety is a local matter, so you’ll need to contact your local building department or rely on your pool builder (who ideally has plenty of experience installing pools in your area). One requirement is so common that it might as well be a national law, and that’s the installation of a fence or other barrier around the pool. These barriers typically have to built so that a young child can’t bypass them, and may be required to have a self-latching gate. Again, your local building department can tell you whether this and/or other requirements are in effect where you live.